After New York, Los Angeles, and Chicago, which metro region appears to be the fourth most spread out metropolitan area in terms of built-up/developed (non-rural) area? From this list Boston and ATL has the biggest built areas but they are not continuous. SF and Miami are confined, they have the smallest. Fyi LAs built environment is not as large as you think. What do you mean that Boston and Atlanta are not continuous? I'm not aware of non-contiguous development in the Atlanta area. Either Boston or DC. I suppose you could make an argument for Atlanta and Houston as well. Built up but spread out? This thread confuses me. Which is it? Miami is the 4th largest urban area in the nation but it's hardly spread out. I would say DFW or Houston. The development spreads for over 60 miles. That's what I am saying. Boston is spread out but it is in rings. Not continuous. Philly is the same. LA is not as spread out as the OP listed. Detroit and DC round out the top ten. Then Phoenix, Minneapolis and Seattle. 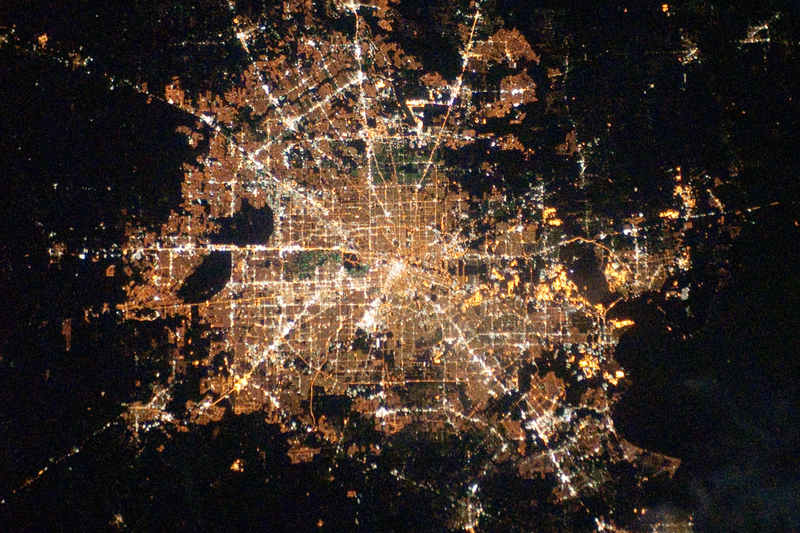 Im just not seeing how Houston is as built up and spread out as LA? Its an old map but by eyeballing it, looks like either Dallas, Los Angeles or Boston. but by built up area LA is NOT that spread out like yall are making it seem. its UA for example is what? less than 2000 sq miles compare that to its 35K CSA. Where is Huntsville to the North??? The Metro goes on for about 20 miles passed Katy, why did you cut it in Katy?